This broad section details a variety of areas ranging from light building work to cleaning. 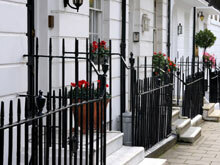 It attempts to deal with the many practicalities of maintenance of a buy to let property. The interior design section by contrast relates to ideas for improvement when a partial or full refurbishment is required. This section is mostly targeted at getting the most from the existing property assets and ensuring the property asset’s investment performance is tuned to its maximum potential.